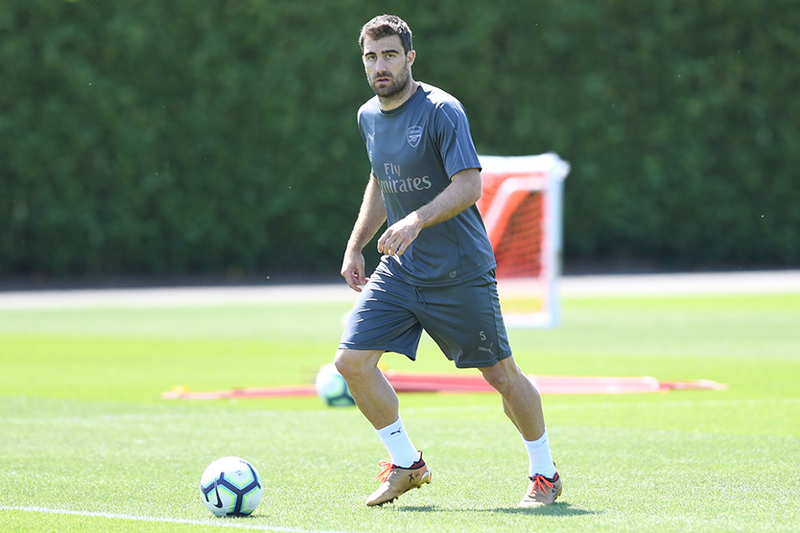 Sokratis Papastathopoulos (£5.5m) has the potential to be the top Fantasy Premier League target in the Arsenal defence this season. The centre-back arrives in FPL after joining for an undisclosed fee from Borussia Dortmund. Arsenal are expected to play in a 4-2-3-1 formation under Unai Emery that includes Sokratis. He may partner Shkodran Mustafi in defence while Laurent Koscielny remains sidelined with a long-term injury. Sokratis scored two goals in 30 Bundesliga appearances in 2017/18. He won 83 of 123 aerial duels, giving him a success rate of 67.5 per cent, which was better than any Arsenal defender last season. That could be key given Arsenal's record in the air in 2017/18. No team scored more goals from set-pieces than their 16 and only Chelsea, with 17, managed more than their 13 headed goals. Sokratis could also improve Arsenal's defensive prospects given that the Gunners conceded 10 goals from headers last season, the sixth-most in the league. The Greek is a good passer, which helps his chance of getting extra FPL points. Players who attempt at least 30 passes in a match can score in the Bonus Points System (BPS). If they complete 70, 80 or 90 per cent of their passes, they pick up two, four or six BPS points. Last season Sokratis averaged 63.4 passes a match, with a completion rate of 86.9 per cent. Emery is likely to give his full-backs freedom to attack down the flanks, boosting the points potential of the likes of Hector Bellerin and Stephan Lichtsteiner. But with a price of £5.5m, Sokratis's ability to combine goals, clean sheets and bonus points can establish him as Arsenal's best FPL option at the back.